Everyone has something valuable they need to protect. When extra security is needed, the best type of security is a quality name brand safe. Ace Lock Service can perform a professional evaluation of your safe security needs. Ace Lock Service technicians will help you choose the safe that is right for you, install the safe and bolt to the floor if necessary, and help you maintain the keypad or safe dial as well. Ace Lock Service safe services includes sales of new safes, safe repair and unlocking, combination changes, safe unlocks and safe drilling, bolting down safes, and moving safes of all sizes, rekeying lock cylinders on safes, repairing damaged safes, we cover it all. When choosing which safe locksmith to go with to help you find the perfect safe for you, look no further than Ace Lock Service. We are safe experts in the field since 1978 in Jacksonville FL. Safe security varies and we will find the most convenient safe for your needs. 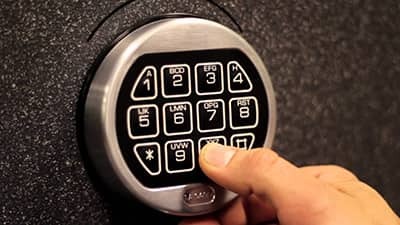 Safes range from combination locks to electronic keypads. Depending on your situation you might want a fire safe, floor safe, wall safe, money deposit safe or a gun safe. Our safe locksmith experts are trained and knowledgeable about the specifics of each safe to help you in any situation.